Just in! The new 5.56 tee shirt from Russian Roulette Clothing! The 5.56x45 is the standard issue cartridge used by the US military. 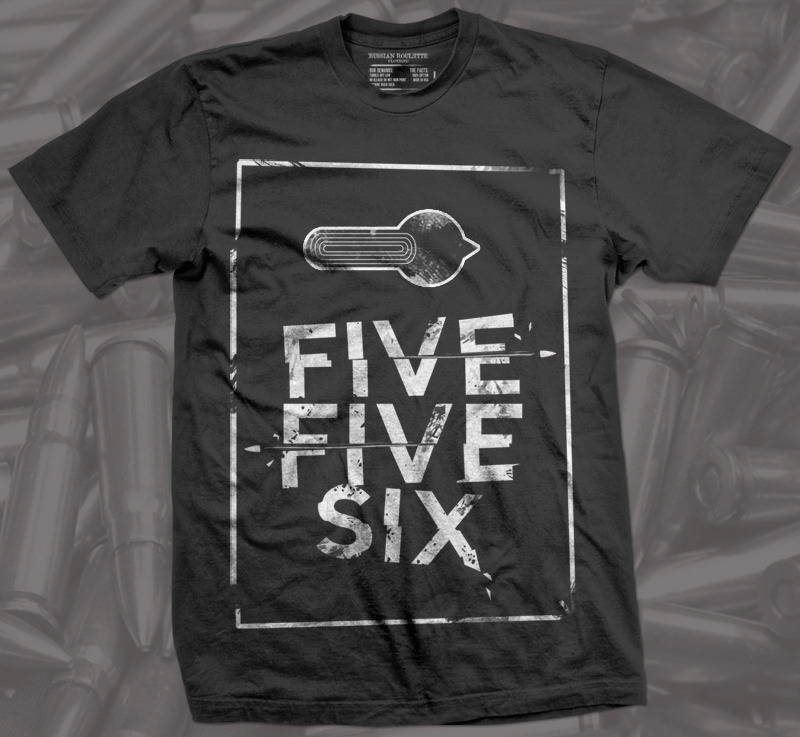 This shirt features the text "five five six" underneath an M16 selector switch set to full auto. Pick one up at Russian Roulette Clothing or on Amazon.com today!